Episode #189 – What Are You Talking About? What do you want to talk about? What do your followers want to hear about? Two different takes on the same topic… topics! When you’re developing our content the best advice is to just start writing (or talking or videoing) but to get to the point where you get your thoughts in order can be a struggle. The first thing to do is not worry that someone will “hate” what you are saying. It won’t happen. Most people that follow you will be appreciative of our message. The next thing that seems to be a common fear when you’re starting out is that you’re not an expert or there is someone better than you. OK… that’s probably true! But, who cares. You are providing information to a whole new group of people. These are most likely already in your circle of business associates. They look to you for advice and guidance already, so you’re simply providing more of what you’ve already been doing. Learn to focus your energy on creating the best blog (podcast or vlog) by creating great content. The best way to get the content is to brainstorm 50 topics. Fifty seems like a lot, however, if you can come up with 50, you can easily do 100 and really at that point you’ll never run out of something to say. So sit down somewhere quiet, think of your top 10 questions people ask you… write them down. Now look at each question and is there a sub question that comes to mind… there’s at least another 10 topics… now think about your daily routine what’s interesting there? Yep…and just keep going. 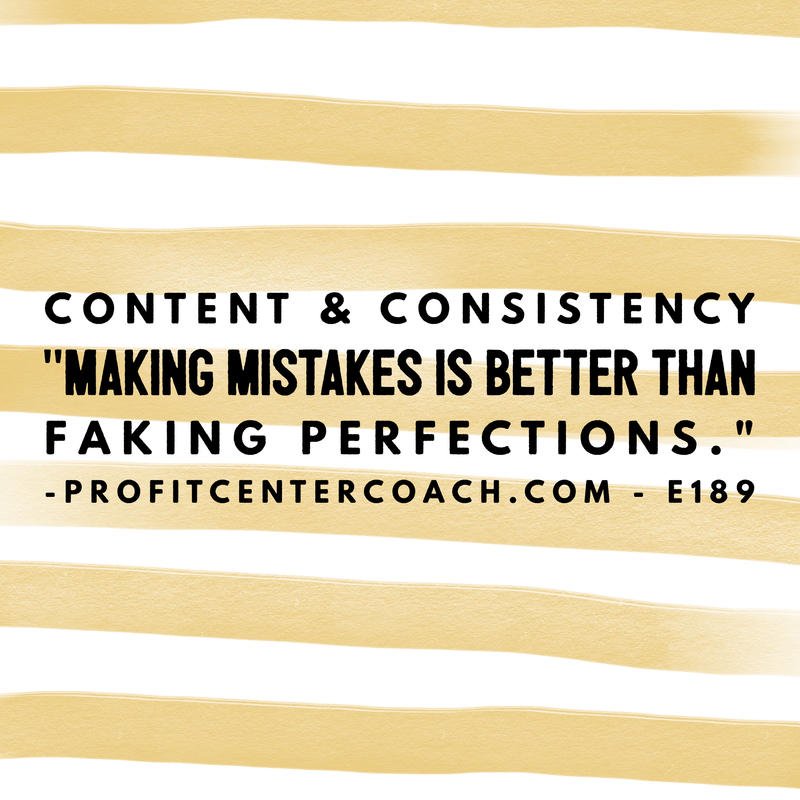 Remember today’s inspiration… get out there and make mistakes it’s certainly going to get you further than pretending you’re perfect! 1- Create your list of 50! Get those 50+ topics down on paper and start your creativity output. Share those thoughts and expertise! Episode #190 – Change Can Just Happen Instantly OR You Can Create A Habit. Both Work.